Can a high load on a VPS be caused by the underlying infrastructure? My VPS started to have random stints of high load (around 2-3, but the system becomes extremely slow, running ls takes like 30 seconds). I hadn’t changed anything on it, there was pretty much nothing but a Shadowsocks server running on it (with less than 15 users), the CPU usage percentage was consistently low (around 10), there was almost no IO usage, and the processes having the most TIME on CPU were mostly Ubuntu’s system processes. This problem has persisted for some weeks now, and there is no pattern to when the load gets high. Can this be a problem not with my VPS, but with the host it is on (the seller, that is)? It can. 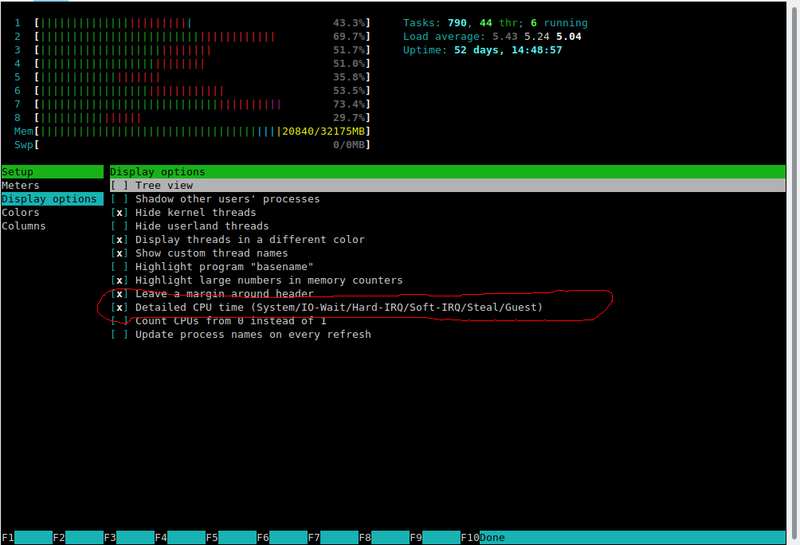 You can track IOWAIT and 'steal CPU' with htop (when you enable detailed stats), or track it with a tool like Munin. How to set up Munin is described well on the net. Resources on physical hardware are not unlimited. If other actors use up all the resources, then a seemingly low load can suddenly explode. This is not specific to VPS - the same can happen on any shared resource, like LAN, storage. SAN are particular nasty on that - someone else makes a backup, all your IO is gone. Not the answer you're looking for? 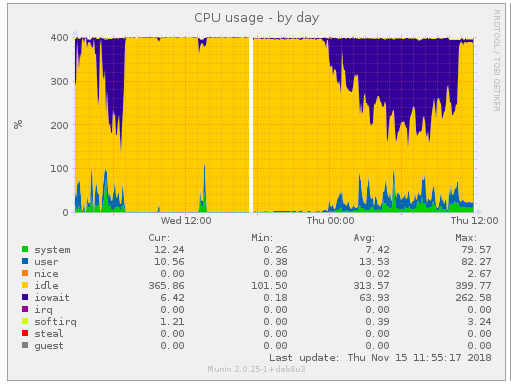 Browse other questions tagged linux vps cpu-usage performance-monitoring load-average or ask your own question. Where is the high load coming from? High load average, when should I be worried?